In any case, I was invited to a preview tasting of Milestones' new Summer Chefs' Menu on Monday, May 13th (and it was a "preview" because their Summer Chefs' Menu was set to launch across all Milestones locations the next day.) This exclusive dinner took place at Milestones' Empress Walk location. Shredded braised lamb shank mixed with pickled red onions, garlic mayonnaise, pommery mustard and ginger served on garlic toasted mini slider bun. Sauté of garlic, thyme, Serrano peppers, shallots, fennel seeds, mozzarella cheese, then double breaded in Panko crumbs. Served with smoked paprika infused aioli and garlic mayonnaise. Afterwards, we proceeded upstairs where dinner was about to be served. Here is Milestones' Executive Chef Jason Rosso (@jasonrosso) telling us a bit about Milestones' food program and his inspiration for the new Summer Chefs' Menu. Within the past eight months, chef Rosso and his culinary team have created and launched close to15 new menu items with another 10 rolling out in the coming months. 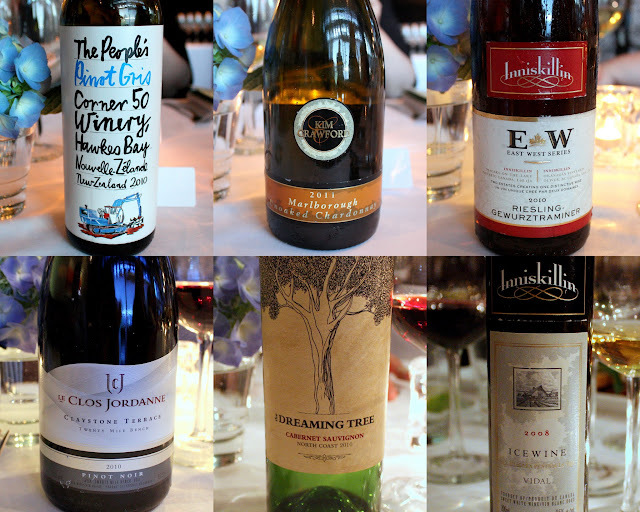 Before I dive into the food, I need to mention that each course that night was paired with a selection of wine courtesy of Constellation Brands. So here goes! Below is a six course tasting inspired by Milestones' new Summer Chefs' Menu prepared by chef Rosso. I think it is a giant step forward for chain restaurants, or Milestones in this particular case, to offer seasonal menus. It is a great way to spice things up every once in awhile and to show customers that although Milestones is a chain restaurant, they can still be creative and innovative. As per Milestones' management team, it is the restaurant company's vision to capture the 'independent restaurant experience' while being a 'full service restaurant chain'. I'm sure as a reader of my blog, you will know that our city is filled to the brim with independent restaurants that frequent menu changes (some restaurants change their menus monthly while some go as far as weekly.) Given that Milestones has 50 operations across the country, it is literally impossible for them to replicate that level of menu changes. However, Milestones' dedication to revitalizing menus, operations and the hiring of chef Rosso in assisting and elevating the restaurant's food program is certainly an indication of only good things to come for this popular restaurant.